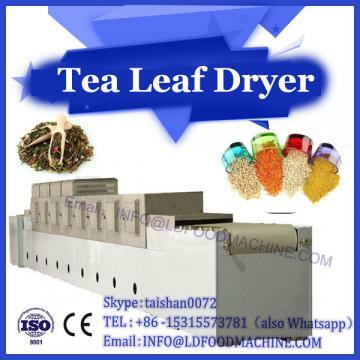 The microwave drying machine is designed as a liquid filling machine. 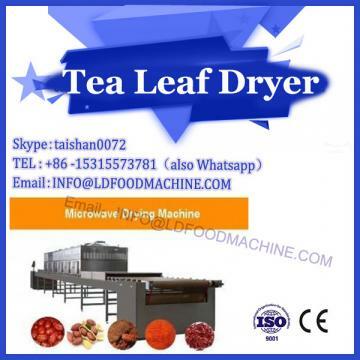 It is mainly used for filling various kinds of beverage such as milk and fruit juice, which is suitable for small beverage manufacturers. In the design, the intermittent motion of the rotary disc should be considered, as well as the coordinating work of drop cup, filling, sealing, return cup and motor. 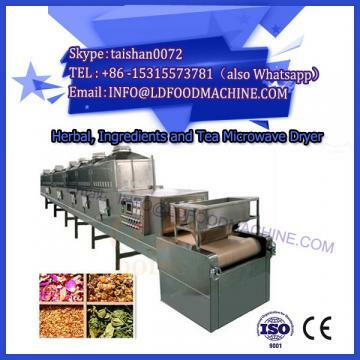 In packaging machinery, the use of pneumatic technology to achieve automated operations are quite convenient, effective, applicable, therefore, the drop of the cup, back to the cup movement, mainly using pneumatic to achieve. Filling automatically flows out of liquid gravity. The intermittent regular movement of the rotary disk is achieved by controlling the stepping motor. PLC control has the characteristics of simple programming, reliable work and convenient use, so the whole machine coordinated action is controlled by PLC. Due to the high starting requirement of stepping motor, a special starting circuit should be designed. In the pneumatic loop, the drop cup loop requires simple reciprocating motion, and each movement should be completed within the auxiliary working time when the rotary disk stops. The cup withdrawal loop requires the cup to be lifted first, and then the cup is pushed out of the turntable into the conveyor belt. The action also needs to be completed during the auxiliary working hours when the turntable stops. According to the analysis of working conditions, the system is a low-power system, the design requirements are that the cylinder in the prescribed time for reciprocating movement, with a small load return trip. The air consumption of cylinder movement is not large, the gravity of moving parts is also small, and there is no special requirement in the direction of reversal, so the cup drop loop is controlled by a two-position five-way single electric control valve. When entering the cup withdrawal loop, it is required to lift the packaged plastic cup from the rotary disc first, and then push it from the rotary disc (pushed to the conveyor belt) to select the sequential action loop controlled by the one-way sequential valve. According to the design calculation, the working pressure of jacking up cylinder 1 is greater than that of pushing out cylinder 2, and is supplied by the same air compressor. Therefore, in the introduction of cylinder 2 loop should set pressure relief valve, at the same time also need to meet the requirements of adjustable time. In order to maintain a certain pushing force when the pressure of the feeding air path drops instantaneously, the throttle valve speed regulation and the one-way valve pressure maintenance should be connected. During the operation, the impurities such as water, dust, oil and other impurities in compressed air and the fluctuation of output pressure will cause adverse effects on the normal operation of the pneumatic system. Therefore, the pneumatic supply loop selects the primary air source treatment loop to solve the problems of compressed air purification and stabilization treatment. Because the cup drop loop and the cup return loop share one pressure source, and the supply pressure P1 and P2 of the two circuits are different, the high and low pressure control loop should be selected to adjust the pressure supplied by the pressure source to P1 and P2 different pressure supply. The compressed air used in the pneumatic system can be directly discharged into the atmosphere, which is the advantage of pneumatics. However, the atomized oil and noise discharged during the exhaust will cause environmental pollution and must be controlled. We use noise reduction methods in addition to filtration devices in the exhaust circuit to remove oil and install mufflers. When the pneumatic loop is combined into a pneumatic system which meets the design requirements, the sequence of actions among the actuators should be considered comprehensively, so as to prevent the interference between the transmitting elements and the circuits, reduce the impact and the safety problems such as linkage, and on this basis, reduce the components and improve the system efficiency as far as possible. Fig. 1 is the schematic diagram of the pneumatic system after assembly. The selected motor type is 110BF004. Its phase number is 3, step angle is 0.75 degrees, voltage is 30 V, phase current is 4 A, maximum static torque is 4.9 N.m, no-load starting frequency is 500 Hz, inductance is 56.5 m H, resistance is 0.72_. And distribution mode three-phase six beat. The control requires the stepper motor to stop one auxiliary position time (5 s) for each rotation of one position angle, and then start up again, such a cycle. The angle of each working station is the same, and the auxiliary working station is stopped at the same time. As long as the intermittent one-way cycle start and stop control can be done, the requirements are relatively simple, so the choice of logic circuit and power amplifier composed of hardware driver circuit to achieve motor control.